alright chaps? what have a i missed?? Ben! How's it hanging buddy? All good here thanks. Nice to see you're still keeping the projects going. The blade looks cool, even like that. Reckon you'll be finishing it over the summer now the lump is in? Aye its good to be back Radar, got a bit bored of facebook groups to be fair. too much BS not enough quality substance. yeah not too bad thanks ID, lots has changed since i was here last. in my personal life as well as the forum, its looking great! nice work! 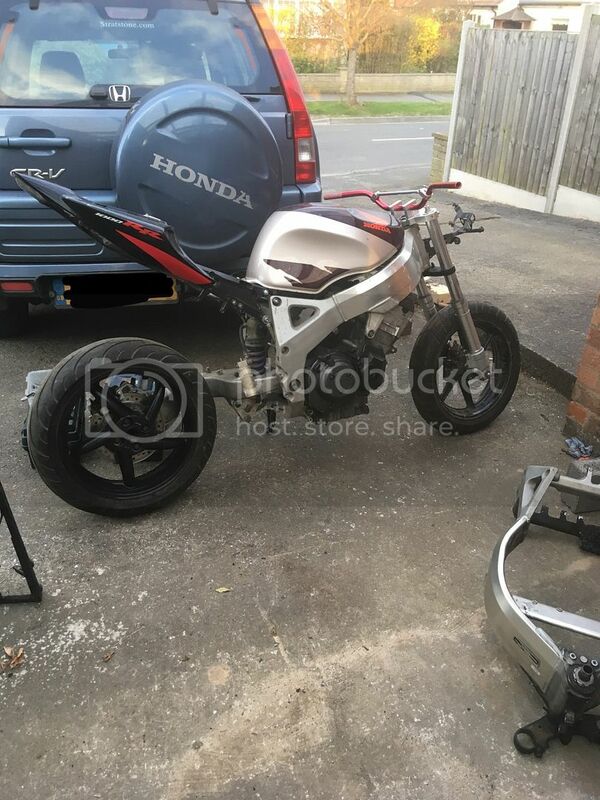 nah i wont be getting it finished this summer, still a few bits i need that are quite expensive and in about three weeks we are expecting my daughter to be born so the bike will be on hold again but for good reason. i still have a lot of work to do to the ZX10R and i'm sure you all remember i have a major soft spot for the 2004/2005 ZX10Rs. i never thought i'd ever be able to afford another one but i found it on ebay for next to nothing. 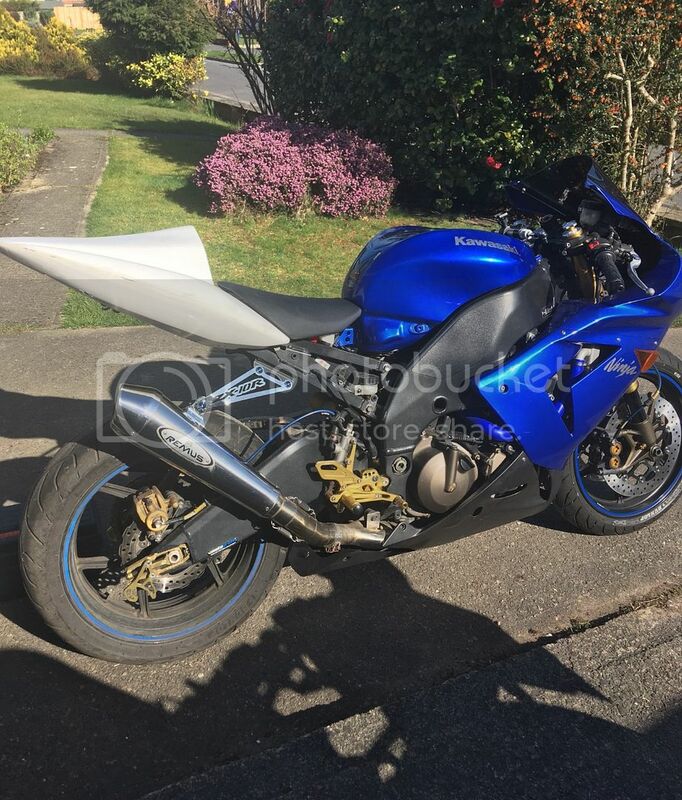 the seller had been riding it when the chain had snapped, the chain luckily missed him, went through the carbon hugger, through the bottom of the seat, through the battery tray, through the top of the seat oh and through the engine! he had actually purchased and sort of fitted the new engine (nothing was tight so i stripped the bike fully and started again) but he couldn't get it running. i spent a while scratching my head and trying pretty much all my tricks to get her running, turned out the sub loom going to the coils wasn't fully clipped in. schoolboy error...but as i say it was absolutely rock bottom price i won it for. it had more money in the aftermarket parts that were fitted than the bike cost so it was a win for me. bought it in july 2018 and had tickets for a bike rally in august that the missis and I wanted to attend so got her rebuilt in record time, passed the MOT with a couple of days to spare! if anyone wants to know the work that has gone into her i shall compile a list. but for now i shall leave you to enjoy my ramblings take care all.